It’s a drag, without doubt, but we all must admit: We’re not allowed to have our cake and toss our cookies too. Still, I found myself starting to do that in a book called Southern Scotch. And if I hadn’t been saved by Rod Stewart, I’d never have finished the novel or gone on to write the sequel. The Great American Songbooks volumes 1-5. Rod’s soulful takes on the classics contained the qualities required: sweetness and light … streetsmart sophistication … tenderness, toughness and heart. If these qualities suffused the book, we might be spared tossed cookies. And here I was, a writer who’d once had the whole world before him — four novels with two big houses … an international award and film option — scrambling in the ebook jungle. Writing the sort of book I love to read. And hoping, like Rod, that my best lay ahead. And, hooray now, here came my changed hero: no longer a fat, drunken slob at the start — a man who’d known greatness and crashed but still dreamed … a man who returned as a bit of a thug — but also a complex and admirable soul. Well, yes, all right. That’s well and good. But, Reb baby, please — some specifics? I immersed myself in the five albums. For the most part, I felt more concerned with absorbing the qualities mentioned than with providing a soundtrack. As I absorbed these qualities, I began to grow more skillful at infusing my character with them as well. But a few songs had added importance for me. In these I heard the rocker’s growth through mastery of the classics. Blue Moon by Richard Rodgers and Lorenz Hart. That Old Black Magic by Harold Arlen and Johnny Mercer. Bewitched, Bothered and Bewildered by Richard Rodgers and Lorenz Hart. Beyond the Sea by Charles Trenet and Jack Lawrence. Pete’s dream girl, Tina, dies in a plane crash. 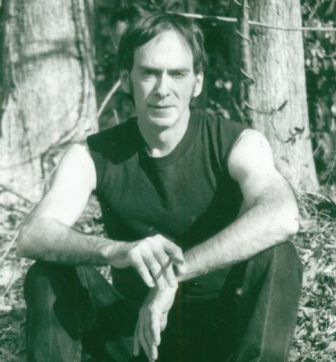 Boss needed to be haunted still by the aching sense of loss I heard in We’ll Be Together Again by Carl T. Fischer. I played it repeatedly, allowing it to dictate what I said and left unsaid. The song is present on each page, though it’s mentioned by name only once. For an epic brawl with six bikers, I wanted a far different mood. Again one song inspired me: I Get a Kick Out of You by Cole Porter. Rod’s a consonantal singer, not a voweler like Sinatra. With Rod it’s not ‘Iiiiii get a kiiiiick’, but ‘I gggggettttt a kkkkkickkkkk’. And his version of this tune packs an exceptional wallop, one I hoped to channel. I wanted bounce in Boss’s step, sass and pow in every punch. I wanted a Yeah, Baby feeling without even mentioning the song. The sequel, The Alcatraz Correction, takes place three years later. And Boss is a changed man, who’s fallen in love. Still, we need consistency in a series character. So I always had one of the Songbooks playing in the background so I’d run into the old Boss in unfamiliar places. *Rod may have the last laugh on Rolling Stone and the old fans who’ve trashed him. Coming later this year: a CD of hard blues and rock. Go, Rod! This entry was posted on January 9, 2013, 7:42 am and is filed under Undercover Soundtrack. You can follow any responses to this entry through RSS 2.0. You can leave a response, or trackback from your own site. This is beyond interesting. 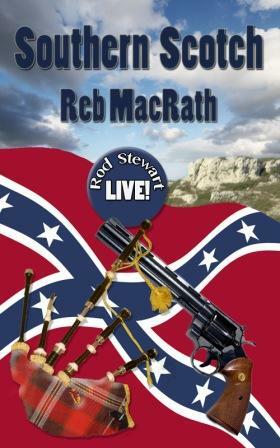 Scottish bagpipes, Southern stars and bars, and written with the spirit of our Big Band greats sung by the Rodster. That’s one heck of a unique mix and is certainly playing well in the samples of MacRath’s books I read. Two have gone on my wish list to be read when the current load is finished, and I can’t wait. Bewitched, Bothered, and Bewildered is one of my all-time favorite songs (sung by Ella), and I’m looking forward to that very naughty song rumbling under the writing. I also like immersing oneself in the music before sitting down to write, getting the mind in gear ahead of time. Roz, you’ve convinced me to give music a try, and I thought some Bach cello concertos would be just the ticket while racing for a deadline with a screenplay. Not working. So far I’ve thrown plastic bananas and pomegranates at the stereo. I’ll try listening to the mathematical precision of Bach, which is the essence of scriptwriting, before sitting down to write. I’m running out of non-breakable things to throw. Excellent post and a wonderful style of presenting it. Welcome back to writing, Reb. You seem utterly unique and just what we need. It’s a terrific post, isn’t it, Cyd? One of the things I love about hosting this series is when writers open up about their responses to their own characters, and the slow-evolving process of getting to know them. Reb’s descriptions of what Rod Stewart’s music has meant to his work are very affecting. As to your Bach, I find if a piece of music is making me throw things, it’s better to take it for a run. Of course, running may make you want to throw things too…. Thanks, Cyd. I’ll look forward to hearing what you think when you get around to those books. So many writers let the music do the work–simply mentioning the name of a song as if that were enough. It’s not. Music charges us and frees us to the do work ourselves. Maybe you and Roz can help me with some suggestions for developing my classical tastes?